Have you been to an unconference aka uncon? I have not unfortunately (at least not yet)! But I was curious of what it actually is, the benefit you can reap from it, the responsibilities that it presents and how it’s different from a conference. I started looking around of a possible interview (with uncon organizers around) about it since last year. But this year, 2014, I was adamant of getting it rolling. To concretise this wish, the perfect man for it was Michelangelo! Perfect because he never turns down an opportunity to share his knowledge and wisdom with The PHP Community and also mainly because he has organized and participated at so many different uncons. 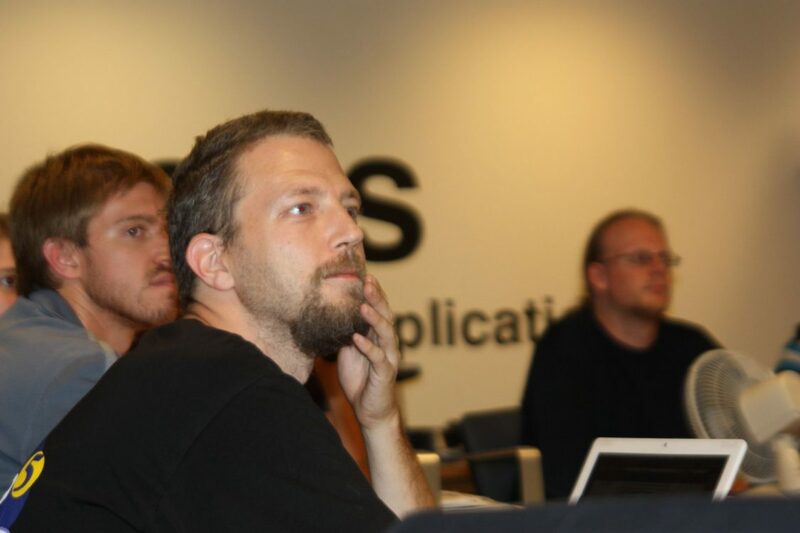 Besides, he’s the founder and co-leader of the PHP-BENELUX user-group – the level of insight and advice that you get from him is invaluable and of high quality. Also I wanted to have it before the SunShine PHP Conference which will take place in this incoming 6th February. What SunShine Conference has to do here, you ask? Well, SunshinePHP will feature a special track dedicated entirely to a special unconference, that will be hosted by — guess who? If you are going to attend this event, I’m sure you will see a lot of surprises! Who Is Michelangelo van Dam? Michelangelo (DragonBE online) is a man that truly needs no introduction. He is a black belt (Ninja Turtle) in PHP, he is a PRO at doing Parkour & free-running with Zend Framework, leads a PHP consulting firm in the Benelux (in2it), he trains new PHP Jedi whether it’s about PHP itself or about Zend Certification exams, he talks about PHP Quality assurance, is a regular speaker at so many PHP Conferences, hosts unconferences, is a regular sponsors at so many user group events & online talks (namely DayCamp_for_Developers), is someone who strives for quality and above all he is a green elePHPant that keeps the PHP Community close to his heart; he engages the community to an extent that always goes beyond! whenever and each time I pronounced his name, I feel like I hear Cal Evans‘ words: “Michelangelo is the man with the coolest name ever in The PHP Community”. Stay tuned on Cal’s tweeter timeline, he regularly does podcast at PHP conferences (with Michelangelo & other PHP knights) that goes on and on around the year. My name is Michelangelo van Dam, but most people know me by my Internet nickname “@DragonBe”. 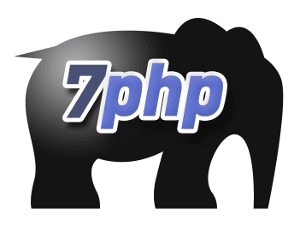 I work as a PHP consultant for in2it, the leading PHP consulting company in Belgium where I’m principal consultant and lead trainer. On the side of my professional engagements, I’m the public face of PHPBenelux, the PHP user group in Belgium, the Netherlands and Luxembourg (Benelux), where I work with a team of PHP professionals to bring PHP closer to the developers. We organise monthly meetings and have an annual conference. Our 5th anniversary is about to start on January 24. Once work is done, I reserve all my free time to my wife and 3 sons. >> How do you guys ‘bring PHP closer’ to them, could you share the approach you take? With PHPBenelux we move from city to city, making it easier for developers to attend our meetups. And with the spawning of more localised PHP user groups in the Netherlands it’s even easier to bring PHP closer to developers, as these localised PHP user groups are right there where the developers are. For other country standards we have a lot of communities in a small area (Belgium, Netherlands and Luxembourg), but this is exactly why our community is thriving and vibrant: there’s always a PHP community around the corner. Which is a huge benefit in my book. >> What is an unconference about + how is it different from a conference one? UnCon sessions are run separately from the main tracks and provide an opportunity for attendees to share additional topics. These side tracks are totally unscheduled so there’s no knowing what’s being presented in advance. So how do you know what’s being presented? Simple, each day there’s an uncon, conference folks can sign up at the “uncon board”. This board can be a white board, a black board, a flip chart that’s set up somewhere at the conference floor, location is often announced at the beginning of the conference. What content can I expect at an uncon? Any kind of topic you can think of basically, as long as it’s in line with the conference theme you’re allright. You can give a presentation with or without sides about a subject you’re really familiar with, do a round table discussion about a concept or an idea you’re playing with (also called “Open Spaces”, but less formal), or just chit-chat about cute cats on the internet. Whether you’re an attendee, a conference speaker or a sponsor, you’re welcome to step up and share with the community. And the benefit is that each session is registered on joindin, the community tool for feedback to speakers. This will allow participants of the uncon to gain credibility when they want to present at a conference. (PS: you should talk to Chris Cornut a.k.a. @enygma to know more about joindin). If we are able to arrange something with the organisers of the conference, there’s also a little gamification involved. For instance, at DPC the winner of the uncon gets to come the year after as a scheduled speaker on the main track! It can be beneficiary to participate in an uncon! Ow, I didn’t keep track of them all as most of the time it was a little ad-hock kind of thing. The most important ones were the Dutch PHP Conference (DPC) in Amsterdam, ZendCon in Santa Clara and Paris, Tek in Chicago and now upcoming SunshinePHP in Miami. >> The uncons that you are going to be organizing/hosting soon? + could tell us briefly about them. My upcoming uncon is SunshinePHP in February and my company is sponsoring the Open Spaces at Tek in May. And time will tell what the future will bring. >> How did/does the motivation of organizing uncons come from? What inspires you to always be up for it? My motivation to run the uncon comes from the same place where my passion for doing community work through the PHP user group. I want to give people the opportunity to bring out the best of themselves and make them part of the awesome community we have. It’s a simple concept: I just offer the stage, the stepping stone for anyone to share knowledge or ideas. It’s a next level, where we can give feedback to new speakers to make them better or share our experiences during a round table discussion. It’s the game of giving that makes the uncon such a great experience, both for participants as attendees. >> The average number of attendees of uncons? Average numbers I’m not giving here because it’s not about the number of people in the room but the vibe the session spreads. I’ve witnessed often a room was filled with just a few people, but started tweeting about the session and by half way the session the room was filled up to the point people were standing in the doors. It’s not about the quantity here, about the quality. We’ve seen experienced unknown people stepping up on stage and bring an awesome session about a particular subject where they were capturing the full attention of the whole room, because it was just awesome! Of course we’ve also seen a bad session turning into a worse one, but this is where I and other attendees step up and give advise to turn it into a great final. Community works, here more than ever! >> The highest number of attendees you noticed at an uncon? Like mentioned before, numbers are not an issue. But a room with 30+ filled seats and people standing through the doors and at the side of the walls is a very rememberable moment that happened quite often. Don’t forget the attendees are the same as the people at the conference. These are developers, managers and other folks that roam the conference floor. And the door is open, everyone is welcomed. >> What unique opportunity does organizing a PHP unconference , presents? First and foremost, the uncon is a way to discover new talent, talent to speak at conferences. It gives new speakers a chance to stand above the crowd and get noticed. By being the “ring leader” of the uncon, you get to see a lot of interesting topics and new ways to do things better. I won’t lie here, I’m picking up a lot at these sessions. So yes, there’s a benefit in there as well: knowledge. >> Is there a ‘call for paper’ for uncons? How do you select for speakers? Nope. Uncons are unpredictable until the day of the sessions. People sign up during the day on the board which is often already completely booked before noon. It’s a simple structure: first come, first serve. If you want to share something, come early! That’s my advice. And each day of uncon is a new opportunity to be awesome! If you want people in your room, you need to do the leg work: you need to promote your talk yourself and draw in attendees. How you do this, that’s up to you. Use social media is always an obvious way, bribe people in hallways is also a method I’ve seen or just have a catching title that makes people interested in showing up. The board is in front of everyone, so the more catchy your tag-line is the more people will show up at your uncon. There are none! You can walk up to the board and write down any subject you want. It doesn’t matter if you’re new or experienced. There’s no selection based on race, religion, gender or what not. If you have something to share, sign up. That’s the golden rule. Besides the fact I’ve learned a lot from just listening to people speak at the uncon, I also know that that each uncons can be a present under the Christmas tree. One occasion I remembered very clearly is that I was sitting at an uncon besides the guy who started puphpet.com (Juan). There’s always interesting to discover during the uncon, that’s why I love uncons. >> How are you going to make new editions even better than any previous one you’ve hosted, any specific focus? Like the uncons are unprepared, so am I. Let the PHPorce be the guide that makes the uncon great. I’m just the intermediar ensuring people get set up correctly, explain who’s doing what and making sure that all sessions end on joind.in with feedback from the audience. The uncon is not a sponsor track! It’s not a place where sponsors can talk about products or services and throw a sales pitch to people. You will loose credibility. The uncon is also a place where new speakers should feel comfortable, so there’s no expectation of being a good speaker. Not everyone is talking fluently in front of a crowd and this is not expected at an uncon. Make sure the content is solid and interesting, the speaking part will evolve once you’re doing it more. Again, it’s like a talent hunt where potential new speakers can be discovered. I hope so. We do our best to guide the people there to complete their talk or discussion in a very relaxed environment. There are no “bad” talks, speakers or subjects. And this knowledge will ease most of the folks. But still, you’re in front of an audience which is still intimidating. And this is a stress you just need to deal with in your own way. But let’s be honest, most conference speakers are still nervous before they go on stage, even if they already have years of experience. I remember ZendUncon in 2010 where Bulat Shakirzyanov (@avalanche123) did his uncon on “unit testing” and nailed it. He impressed the audience in such a way that he was elected winner of the ZendUncon2010. A year later he spoke at Symfony Live in San Francisco! Another uncon that will go in the history books is the community session at TEK X ran by Keith Casey (@CaseySoftware) where the great community leaders of this earth Ben Ramsey (@ramsey), Lorna Jane Mitchel (@lornajane), Rafael Dohms (@rdohms) and me were hosting a community panel where the audience could ask questions about community related subjects. Up to this day I still wonder what I was doing there between those giants. You should read the article and see the video Cal Evans (@CalEvans) made of that session, as back in the day it inspired Jeremy Kendall (@jeremykendall) to step up and start his local PHP user group, with great success. Looking back at this video I remember again why I started getting involved in the first place: sharing and giving knowledge to let other grow into something more. A conference requires preparation, negotiation with sponsors, vendors, caterers and so on. This takes up quite some time in preparation phase, often months before the conference starts. You need to sell tickets and ensure everyone has one when entering the conference area. The uncon requires almost no preparation and is often part of the organisation of a conference. Therefor I love to manage an uncon as it doesn’t really take too much time from me. Uncons and user groups are closely related. Both are informal and provide an open stage for anyone who wants to discuss a subject. >> Is there a difference between a Barcamp and an uncon? barcamp is more about interests: 3 topics to choose from and 1 to present. Uncon is first-come, first-serve. If you haven’t done so, attend an uncon session. Be amazed about the content and quality you might discover, not to mention the people you meet. Believe me, you always learn something there that will make your job a lot easier. If you organise a conference, see if you can fit in an uncon somewhere. It will give additional value to your conference and maybe even gives you an opportunity to discover new speakers for your conference the year after. >> I’ve read that you are going to host the uncon at SunShine – and it will even have a special track dedicated to it. Could tell us about it, how it is going to make a difference and how you manage to making it big this time? Haha, yes I could tell you more about it… but you should get a ticket and experience it yourself. Words cannot describe the sensation you have at the SunshinePHP uncon, especially since behind the scenes the evil creative minds of the community are working out something awesome. And it would be a real spoiler if I would mention it now. >> What are the objectives and aim of this unconference (at sunshine)? The objective for SunshinePHP is to engage the community and to have the local community step up and show they have got what it takes to speak in public. I would like to see the local community to step up and share their knowledge. I know there’s an expert in each attendee! Hi Hari, thanks for the comment, appreciate!